Smart drugs - Is the new film Limitless fiction or fact? Is the new film Limitless fiction or fact? ‘Limitless,’ the movie, is explained by the following synopsis. A young writer has been down-and-out on this luck for several years. He has writer’s block, thus he cannot complete his half-finished novel. He is threatened with eviction from his apartment, his girlfriend leaves him, and he mopes around for days with dirty clothes and long, stringy hair. Then, by chance, he meets an old friend who gives him a new designer drug called ‘NZT-48.’ A single dose allows him to get his life on track. After a week, he achieves perfect recall of everything he has ever read during his lifetime! He cleans up his act, finishes his novel, gets his girlfriend back, and after a year he becomes a successful senator from New York. His brain is so enhanced that he can think fifty steps ahead of his enemies and competitors. Although the movie ‘Limitless’ is fictional, some aspects of these enhancements are possible today, and many more await us in the future. If you doubt this statement, consider the fact that during the 1950s, most people were convinced that traveling to the moon was nonsense, and the science to get there was many decades away. Or consider the fact that in 1900, four years before the Wright brothers’ first manned flight, flying was proclaimed impossible. Also in 1900, the buggy whip industry was considered a wise investment as no one imagined the advent of the automobile and the decline of the horse and buggy! To all those doubting Thomases, the ‘brain and body enhancement industry’ has just started in a very rudimentary way. During recent decades, other medical researchers and I have discovered that deterioration of the mind and body from aging could be slowed and occasionally reversed. Over two thousand antiaging or age management medical doctors have actively employed this new technology on tens of thousands of motivated Americans. Strangely, if you go to your typical medical practitioner, they will refuse to treat you for your aging problems since they have only been trained to treat disease. However, a very few enlightened medical doctors have begun to understand that aging and deterioration of our minds and bodies has something to do with our progressive loss of hormones as we age. Consequently, my dear colleague and friend, Ward Dean, MD, treats all of his cognitively-compromised patients with liquid Deprenyl (Selegiline). For twenty-five years, Dr. Dean has used Deprenyl for cognitive problems and recreational brain improvement. Secondly, the pharmaceutical giant, Abbot Labs, has begun a large-scaled television campaign promoting their testosterone product for aging men. Abbot has started the ball rolling in the minds of the public. Further encouragement in the public arena can be found in numerous books from the television celebrity Suzanne Somers. She has solved many of her problems of aging, such as breast cancer and facial wrinkling [Energo®], and she extensively interviews many prominent US medical doctors actively practicing antiaging medicine. Antiaging physicians often choose liquid deprenyl as the number one remedy for memory loss. In my book, I publish photos of mice, dogs, and chickens that achieved extended lifespans with special nutrients such as deprenyl. I later patented my developments and applied them to clinical double-blind human studies. This early work allowed me to register my product, ‘ACF 228™’ with the Swedish and Italian FDAs. ACF 228™ slows human aging and deterioration – a dramatic claim that the US Patent Office accepted in 1987, and they awarded me a special US patent, the only patent ever allowed in the USA with claims to slow or retard human aging. In later years, I heard the call from Suzanne Somers and prominent researchers from Harvard University such as Jonathan V. Wright, MD and Prof. Abraham Morgentaler, MD, PhD, and Yale University’s Eric Braverman, MD. Consequently, I intensely studied the emerging field of bioidentical hormone replacement therapy. Only last year, prominent medical researchers such as Thierry Hertoghe, MD of the Hertoghe School of Medicine renamed BHRT ‘bioidentical hormone correction therapy’ because patients are only correcting unbalanced hormones and not replacing them. We know from the last ten years that correcting our hormones to the physiological levels of our youth (twenties and thirties) will provide our bodies and minds with a new lease on life not thought possible during the 20th century. This therapy is yet another major step forward after years of successful liquid deprenyl use. In addition to vitamin D3 and ubiquinol (CoQ10), we especially will need to correct for ANDROGENIC (repairing) substances such as testosterone, estradiol [Esnatri™], DHEA, HGH (growth hormone), and IGF-1 (a polypeptide). We will also need to correct for our lack of exercise and poor diet. If we are missing other important hormones such as Armour® thyroid and melatonin, they should be given priority. If we have weight control issues, HCG is available too. If we need to measure our health progress, the ‘Bio-Clip™’ should be employed. These corrective measures will ensure our return to better functioning minds and bodies as we remember from past decades. Nevertheless the question remains, how do we achieve true enhancement as shown in the movie ‘Limitless’? As implied in ‘Limitless,’ a clear example of enhancement employs the use of the eye drops called ‘Can-C™.’ My patients and I showed significant improvements in eyesight when tested successively at nine-month intervals. My own eyesight improved from 70/20 to 15/20 during my four-year use of Can-C™. This meant that my distance vision improved to better than normal, and I could read road signs before they were visible to even teenagers in my car! The Can-C™ drops contain ‘N-acetyl carnosine,’ which reverses crosslinking in the lenses of my eyes. My astigmatism also improved to the point where I no longer experienced headaches when I forgot to wear my glasses. In my judgment, improving eyesight beyond normal should be labeled ‘enhancement,’ as depicted in the movie ‘Limitless.’ You may judge for yourself. My second experience with enhancement involves using IGF-1 daily. My medical colleagues and I use approximately 0.1 to 0.15mg daily divided equally into morning and evening injections. We also combine this with a quarter of a unit daily of HGH. We have experienced significant firming of the skin over the entire surface of our bodies, not just on our faces, as in the case of cosmetic skin-tightening products such as Energo® or one of Dr. Nicholas Perricone’s creams and lotions. IGF-1’s skin-firming attributes may be viewed in Thierry Hertoghe MD’s new book, Picture Atlas of Endocrinology & Hormone Therapy. Firming of the skin over one’s entire body also means that our internal organs have become firmer and more metabolically viable due to corrected IGF-1 deficiencies. We also experience loss of gray hair over the entire surface of our bodies and increased stamina when training daily at the gym. These advances help to fulfill the promise of antiaging medicine, namely regeneration of brain and body impaired by aging. As explained previously, IGF-1 treatment works best when combined with correcting all other hormone imbalances experienced during aging, especially androgenic hormones, such as estradiol, testosterone, and twice daily of time-released DHEA, the more natural the hormones, the better the improvements and enhancements in health. All of these androgenic hormones work synergistically with IGF-1 and HGH to repair and return our organs and skin to a youthful state and beyond (enhancement). If you truly care about your health and wish to avoid the diseases of aging, I cannot over-emphasize the importance of balancing all of your androgenic hormones. During our senior years, declining health is probable. In fact, the average American 65 year old has five diagnosed or undiagnosed diseases, and he or she requires on average nine to twenty medications daily! Correcting these androgenic hormones restores us to the health of our bygone youth. Believe me. My third favorite enhancement involves the use of vasopressin (Minirin®). This natural hormone helps the body to conserve water and balance our salt needs. It also enhances memory beyond normal! More than thirty years ago, as a young medical student, I used vasopressin to improve my short-term memory before important examinations. Memory was enhanced by about twenty-five percent during a four-hour period. For longer improvements in memory, I took liquid deprenyl. These enhancements are consistent with the movie ‘Limitless.’ I strongly recommend deprenyl and vasopressin daily. It is also worth combing them with the hormone oxytocin since both vasopressin and oxytocin are produced by the same cells in the brain, and if one is deficient, the other is likely to be deficient as well. These wonderful hormones also help to minimize trips to the bathroom in the middle of the night. Thus, this double-team natural approach avoids the use of synthetic meds such as Flomax®. As mentioned previously, my friend Dr. Dean has twenty-five years of patient experience with liquid Deprenyl.¹ It functions as a ‘Mao-B (monoamine oxidase B) enzymatic inhibitor.’ Recently, Deprenyl’s creator, Professor Joseph Knoll, confirmed that it actually restores hypothalamic sensitivity to dopamine. This means that it may reverse or slow progression of Parkinson’s disease, which is usually caused by failing mitochondria in the cells of the brain’s substantia nigra. It has also been used successfully for ataxia, slurred speech, and motor-skill problems. It even seems to be able to benefit children with ADHD². Dosage is highly individualized. For Parkinson’s disease, dosages are usually 5 to 10 mg in the morning, often followed by another 5 mg at lunch. For antiaging purposes, the dosages are typically only 1 to 2 mg daily. A higher dose of 2 mg is usually recommended for patients over fifty years of age. Side effects that could occur include vomiting, diarrhea, restlessness, repetitive movements, lethargy, salivation, and anorexia. Decreased hearing, pruritus (itching), licking, and shivers or shakes have also been reported, though less often. 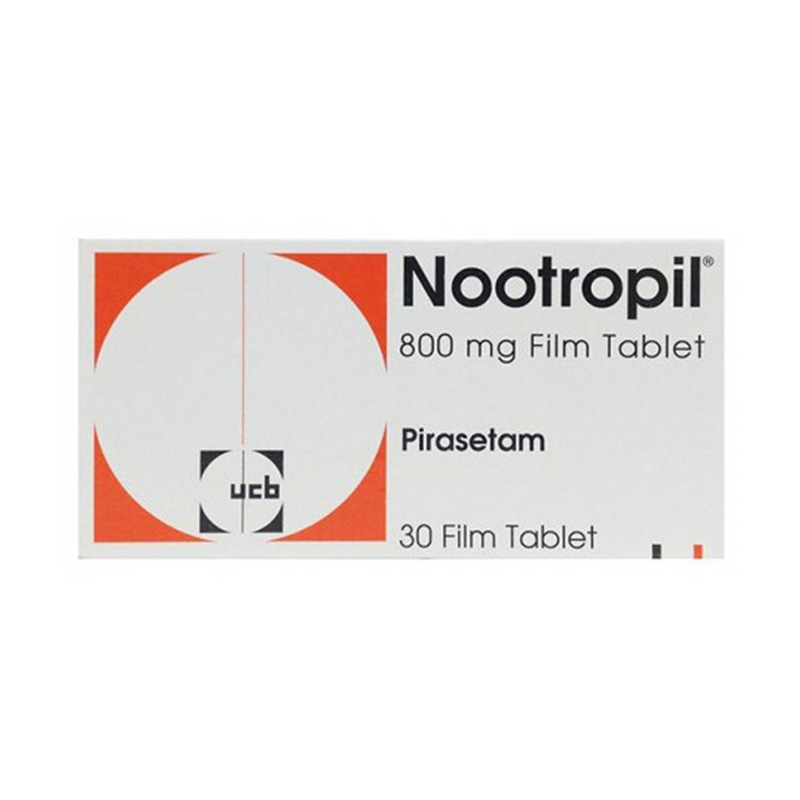 Liquid deprenyl and other nootropics are valuable additions to anyone seeking brain improvement. These work best when combined with vasopressin and when correcting for all hormone deficiencies. The good news is that significant advances in enhancing the brain and body await us in the coming years and that the fiction portrayed in the Limitless film may not be as futuristic as it seems! (1)Dean, Ward and Morgenthaler, John, 1990, Smart Drugs & Nutrients: How to Improve Your Memory and Increase Your Intelligence Using the Latest Discoveries in Neuroscience. (2) Akhondzadeh S, et al., Aug 2003, Prog. Neuropsychopharacol. Biol. Psychiatry , pp. 841-845.